As knife crimes in the UK reached an all-time high, Grenadian hero, Johnson Beharry VC, through his foundation is giving youth exiting street gangs a second chance. Statistics show that there were 39,818 knife crime offences in the UK in the year ending September 2018, with 19,761 being assaults and 18,556 knife offences involving robberies. In 2014, Beharry decided to launch the Johnson Beharry Victoria Cross (JBVC) Foundation to assist in changing the way juvenile offenders see themselves and to help their reintegration into society. He recently publicly admitted to having a criminal past, when an article published by a British newspaper in April last year, quoted him admitting to having sold drugs and leading a street gang based in northwest London. This life of crime followed shortly after arriving in the UK from Grenada at age 19. His decision to turn his life around was due to recruitment into the British Royal Army. He was quoted as saying that “The Army saved my life. I would have ended up dead or in prison.” Beharry received the Victoria Cross for his heroism after saving 30 members of his unit in Iraq during an ambush. 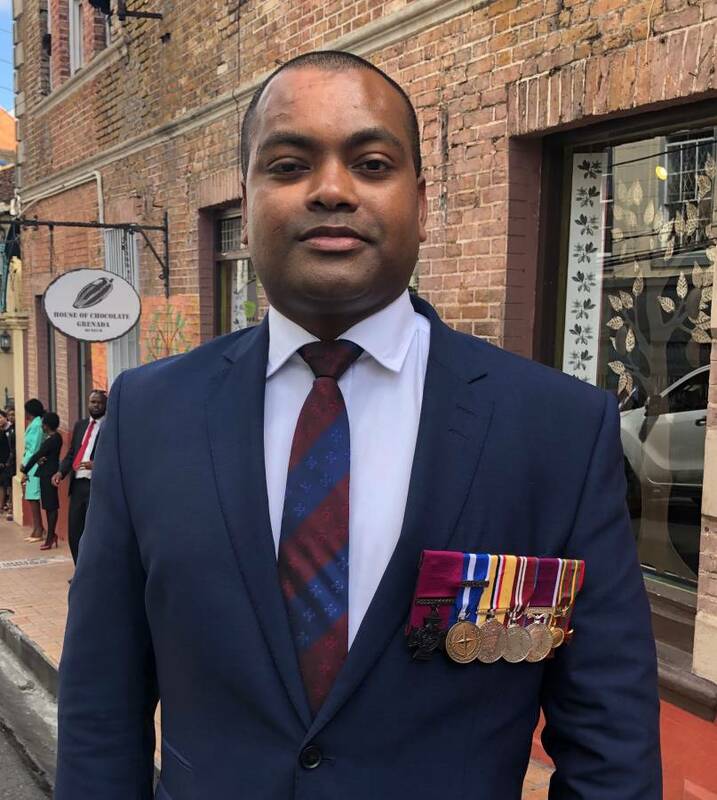 Beharry was in Grenada for the Royal visit of Prince Charles and the Duchess of Cornwall in March and spoke with NOW Grenada about how his criminal past has helped him understand the type of interventions needed by juvenile offenders. “When I left Grenada 21 years ago and went to the UK, life was really tough for me. When you travel you tend to [believe] that family will look after you and welcome you to the big country, but in my case, it was slightly different. No one was interested in helping me because they had to look after me… Life took a different direction where I was involved in gangs, drugs and knife crimes so I was looking for direction and it happens that the British Army was there,” Beharry said. According to the foundation website, the JBVC Foundation works in partnership with leading practitioners to assist young people to leave street gangs and develop sustainable careers. The foundation is supported by a team of trustees who, together with Beharry are responsible for the direction, operation and good governance of the charity. Stage 3: education, apprenticeship, training, and employment experience. He said it is cheaper for the UK government to provide employment than to incarcerate. The BBC reported that this year the number of knife-related homicides went from 272 in 2007 to 186 in 2015. Since then it’s risen every year, with a steep increase in 2017-18, when there were 285 killings, the highest figure since 1946. Beharry hopes to make a large enough dent in those statistics through the work of his foundation.